R&D for "Tiny Home" Eco-Shelters (SF/CA) raised $1,250 on HandUp! Cities throughout the Bay Area and California have declared a shelter shortage crisis and seek emergency shelter cabins (aka "tiny homes") that meet new CA State building codes*. ✮ Flame-resistant, eco-sourced, insulated, and secure; ✮ Multiple sizes—for single, double, and multi-person occupancy; and ✮ Easy to regionally manufacture, distribute, and assemble. 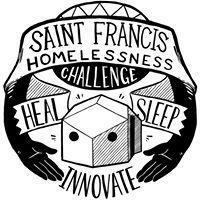 Since 2015, SFHC has piloted over a dozen "tiny home" shelters in San Francisco and is currently connecting with leaders in the fields of hemp building materials, green design/architecture, and policy for triage shelter. Our findings will be published online and updated as we go to spur innovation through resource sharing. Thanks to everyone who has supported this effort to innovote for the greater good! Yesterday I had a few great conversations with organizations/companies that are at the forefront of eco-sourced building materials, including Geoship in Washington (https://www.geoship.com), an amazing organization that has developed a flame-resistant, mold-resistant bio-ceramic material that bonds with wood/metal/etc, and Sunstrand (https://www.sunstrands.com), a hemp cultivator and processor based in Kentucky that plans on creating hundreds of new green jobs and upping their hemp production to 14,000 (up from 4,000 acres in 2018). More updates to come, and I plan on sending out an e-mail with more in-depth information about what I've been learning in mid-February. A $25 donation pays for one hour of research, design, organizing, and/or piloting work. You'll start to receive updates in your email on R&D for "Tiny Home" Eco-Shelters (SF/CA)'s progress.